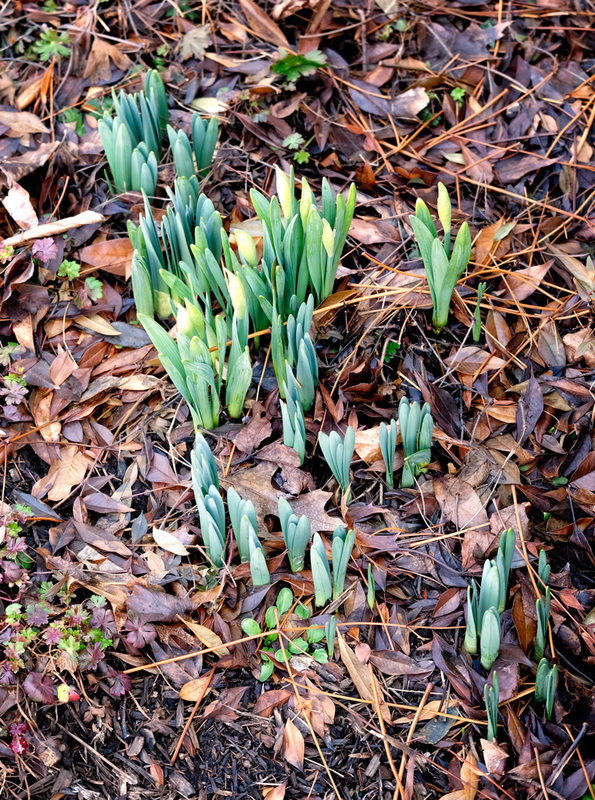 No, it is not April Fool’s, we really do have bulbs sprouting up. 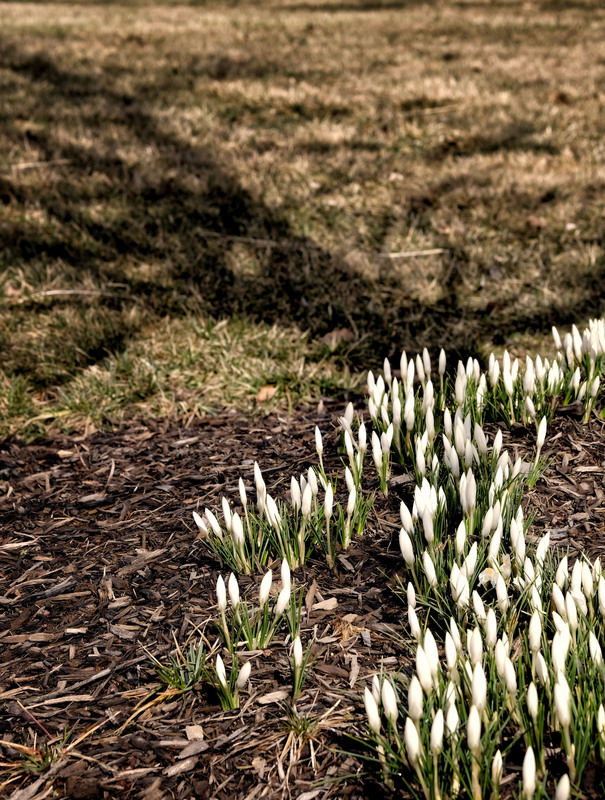 These little white crocuses are our first bloom of the Spring. The blooms remained wrapped up. It seems to be too cold for them to open up to the sky. Maybe tomorrow. The shadow cast by the bare flowering pear tree gave the image a little balance to fill the void of the brown winter grass. 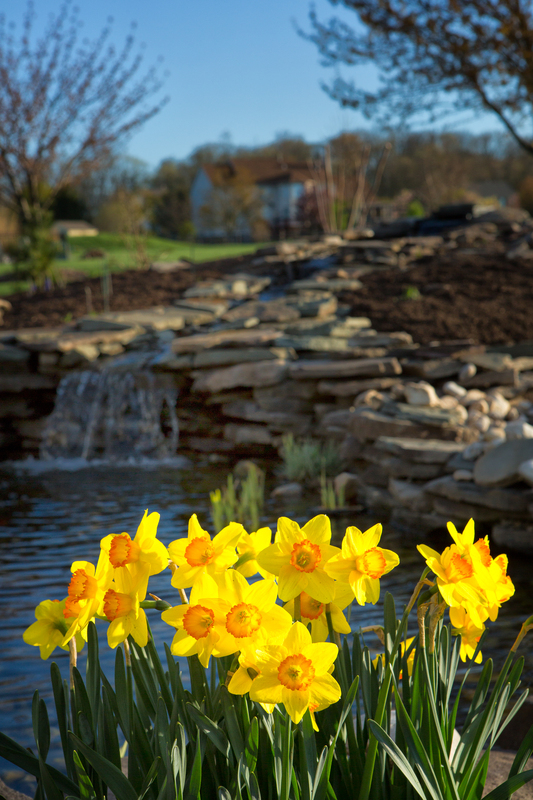 This entry was posted in Our Garden, The Intimate Landscape and tagged daffodils, Flora, flowers, Fountainville, garden, Spring on April 1, 2014 by kgrafphoto. Spring has been long in coming. It has been a long, hard, cold winter with record setting snow fall. Since the “official” spring started one and one-half weeks ago, it has been cold and wet with even a little snow flurry. But finally I see emerging spring bulbs coming up. Maybe Spring is really here! This morning I thought I would give my new travel camera its first try. I purchased my new FUJI X-T1 on the recommendation of two of my mentors/instructors, John Barclay and Tony Sweet. They have both fallen in love with the new FUJI X-series cameras. It will take me a while to get familiar with its strengths and weaknesses. It is sure a lot smaller and lighter than my Canon SLR’s. Hopefully the weather will get a little warmer for more pleasant shooting. This entry was posted in Flora, Our Garden, The Intimate Landscape and tagged daffodils, Flora, Fountainville, garden, Spring on March 31, 2014 by kgrafphoto. I am continuously trying to train my eye to see B&W. I find it difficult to see past brilliant color and identify the potential for B&W images. A few days ago, I stepped out our back door and saw these two yellow daffodils brilliantly back-lit by the low morning sun. Was it the color or was it the the brilliance of the back-lit subject that caught my eye …. The following is the color version. 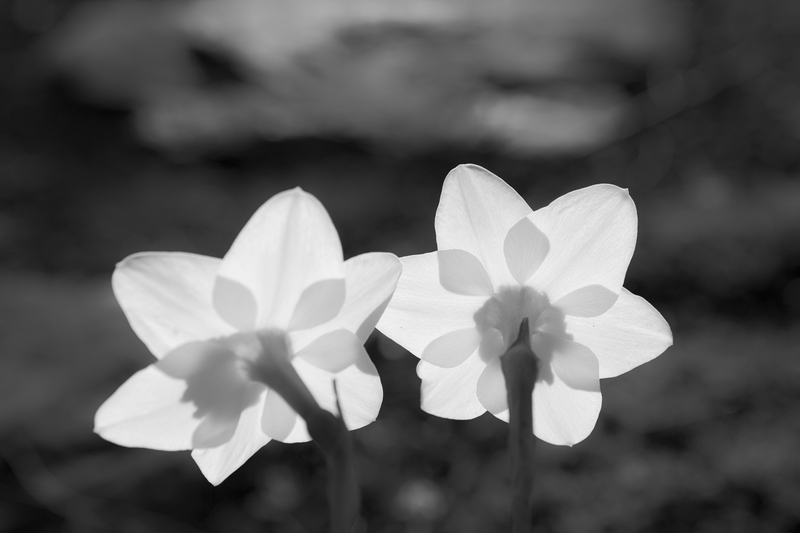 This entry was posted in B&W Photography, Our Garden and tagged daffodils, flowers, Fountainville, garden on April 27, 2013 by kgrafphoto. Spring is Here … Maybe? Just when we thought Spring was here, the temperatures dropped to the low 30’s last night. This morning was bright and clear, but “finger numbing” chilly. With the wind blowing, I worked hard to come up with the best compromise between a shutter speed fast enough to freeze the daffodils and a depth of field large enough to get some detail in the background. I was not too successful. But it was still a bright Spring morning shot. Lesson learned: Sometimes a compromise cannot be reached … move on! This entry was posted in Our Garden and tagged daffodils, Fountainville, garden, Spring on April 21, 2013 by kgrafphoto.